What is an RTL DVB SDR? It is a DVB-T USB receiver that can be turned into a fully functional SDR receiver. 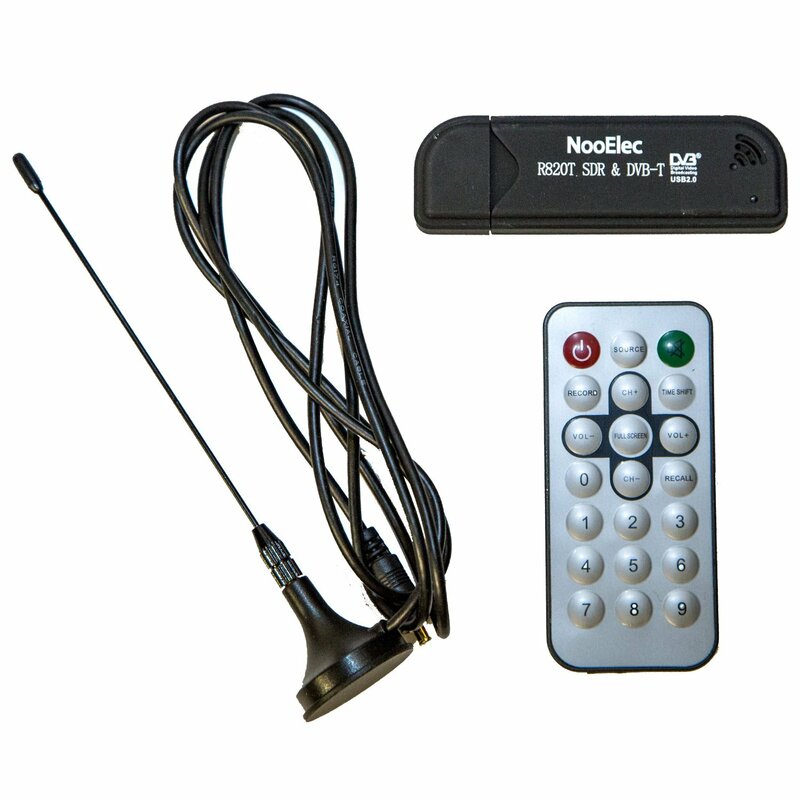 The DVB-T receiver your looking for is based on the Realtek RTL2832U chipset plus a tuner IC like the Elonics E4000. The RTL2832U has some undocumented commands/registers, by which it can be placed into a mode where it simply forwards the unprocessed raw baseband samples (up to 2.8 MS/s 8-bit I+Q) via high-speed USB into the PC, where they are routed into most SDR software. At a price of about £6 – £15, they are undoubtedly the most capable low-cost SDR hardware that you can buy. It’s all that’s needed for receiving signals like GSM, GMR, DECT, TETRA, APCO25 and many other formats. 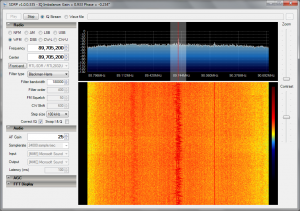 ‘ SDR# (read SDR Sharp) is a high performance Software Defined Radio application. It is written in C# with both object design correctness and performance in mind. The project started as a simple proof of concept program to get hands into DSP techniques and has evolved to what it is today: A fully featured SDR capable of handling samplerates from kHz level soundcards up to multi hundred MHz dedicated samplers, thanks to its multi-core architecture’. So what can you do with the dongle? How about AIS Ship tracking. This video explains how to set you RTL SDR Dongle up for AIS Ship tracking. Ships not to your fancy, how about Aircraft Radar ADS-B. No need for expensive RadarBoxes all you need is your dongle and a couple of programmes. ADS-B, an acronym for Automatic Dependent Surveillance-Broadcast is a technology that allows tracking aircraft using high speed radio transmissions. The ADBs software can be downloaded here. – Using your dongle to receive Funcube satellite data. N4JTC Has put together a tutorial for setting up the RTL SDR to receive Funcube telemetry data. Most amateurs will have most if not all of the equipment needed to get up and running. Listening to aircraft traffic control conversations, Frequencies. Please make sure whatever you do with your DVB dongle that it’s safe and legal.